Feminized and non-autoflowering version with an ultra fast flowering of one of the most famous cannabic families of all time, considered nowadays as a classic of cannabis breeding. This strain is the result of the hybridisation between a selected genetic line of our SWS34 (Sweet Skunk Auto) and an Early Skunk elite clone. 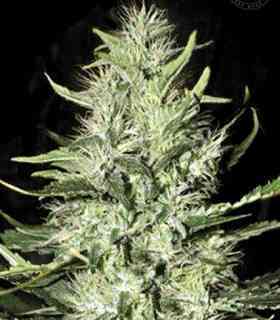 The F1 hybrid resulting from the cross between the autoflowering and the non-autoflowering strains originates a non-autoflowering Skunk genetic with a very fast flowering. The aroma of this strain is very sweet and spicy, just like the classic aroma that we usually find within the Skunk family. This strain produces thick buds, loaded with abundant and aromatic resin.